ELIZABETHTOWN, Ky. (WDRB) -- Caring for the cats at the Hardin County Animal Shelter isn't just a labor of love. It's a full-time job. The shelter in Elizabethtown has been inundated with cats for months, taking in about 2,000 of them a year. 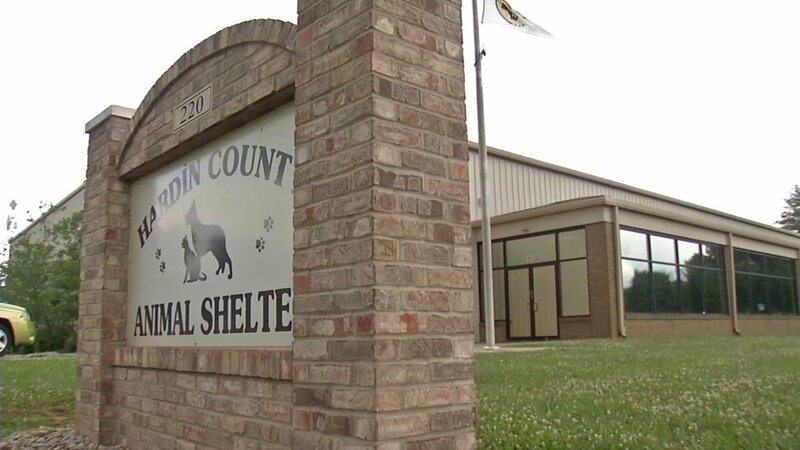 That eats up a good chunk of Hardin County Animal Care and Control Director Mike McNutt's $700,000 annual budget on food, shots and shelter. "We have approximately 106 cats in the shelter with another 20 to 40 in foster. I can't adopt my way out of that problem," McNutt said. "We do our best to get them in and out the door as quick as possible. But with that being said, I have people pulling up with trucks filled with 20, 28 cats." So McNutt will soon start working with Alley Cat Advocates in Louisville to stem the influx of felines. Executive Director Karen Little said the non-profit's Trap-Neuter-Return program has saved Louisville Metro Animal Services countless money. "We will provide trap-neuter-return services just as we provide for Jefferson County," Little said. "We've altered over 40,000 cats ... We've reduced the number of cats that have come to Metro Animal Services by over 63 percent since we started in 1999." And Little just secured a $210,000 grant to provide support to five other surrounding communities, including Hardin and Bullitt Counties and Floyd County in Indiana. And believe it or not, Hardin County isn't the worst. Little estimates there are about 30,000 stray cats in those five counties. If unchecked, 30,000 cats could turn into 150,000 cats within a year. "Any work that I can do to decrease my population coming in the door means more tax dollars to do other things," McNutt said.